“I love this” she told me. “I can pause and rewind whenever I want. It’s all right here for me. And if I still don’t get it, you’re right here to explain it.” – One of my young, ambitious students empowered by education technology in our Central High School classroom. Then, she looked up at me and said, “But, I guess that means if I miss it, it’s on me, right?” An epiphany had struck and the realization was priceless. For the first time, this young student understood she could take ownership of her learning. My name is Kris Schrotenboer – a high school Language Arts teacher in the Forest Hills public school district of Grand Rapids, Michigan – and, thanks to the power of video-capture technology, I am more efficient, more thorough and more confident than ever that I am able to reach all of my students whether in, or out, of the classroom. Doreen Barnes, our Technology Integration Coordinator for Forest Hills Public Schools, says one of the biggest obstacles when implementing classroom technology is the difficulty of getting everyone on the same page. And while visual learning is not a new topic, it has been met with mixed reviews in the education sector. 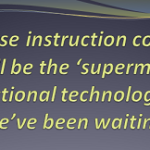 However, since implementing visual technology within my classroom, I have individualized my instruction based on both student needs and curriculum demands. As a result, my students’ comprehension of course material has improved drastically and I am now able to present information in a multitude of ways. Furthermore, by presenting short bites of visual information that correlate to assigned tasks, the acquisition of knowledge is immediately followed by the application of skill. My tool of choice is TechSmith Relay, which provides me with the video-capture technology I need to create quick and easy screencasts, regardless of my location or device. With the ability to incorporate visual, written and verbal communication in my teaching, I can cater to all of my students’ unique learning styles. I also feel reassured knowing statistics show when you combine visual elements with verbal communication, retention rates increase by a whopping 400 percent. Relay’s most valuable design feature is its ability to foster real-time learning through immediate feedback. I am able to assign questions and quizzes to gauge my students’ understanding of a particular topic, allowing me to delegate my teaching time where it is needed most. More importantly, my students are able to steer curriculum topics in a direction to best suit their learning needs. With the added bonus of real-time analytics, I can be more thorough in my teaching of new concepts and choose to sift through information the students have already grasped, keeping a sharp group of learners engaged at all times. I frequently use technology to engage my students in real-world assignments, such as my curriculum’s college exploration project. My students complete a series of tasks including researching colleges, choosing a destination, and recording a presentation using Relay and the mobile TechSmith Fuse app. When all is said and done, the students share with the class why they feel they are the best candidate for a particular educational institution. I know my students are developing life-long skills and assisting their futures in the process – and we’re all having a blast. The energy in my classroom is dynamic. It is awesome when the buzz is all about learning and my students are totally engaged in the concepts I am teaching. 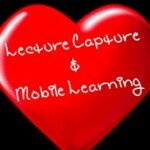 Video-cast technology has transformed both my teaching and my students’ curricular experience. And TechSmith Relay is one of the most useful tools I have equipped in my teaching arsenal during my 20-years in education. Kris Schrotenboer is a high school Language Arts teacher in the Forest Hills public school district of Grand Rapids, Michigan. Your article is exactly what is needed to educate teachers and families about the extraordinary leaps in learning made possible by use ed ed tech specifically in ways you describe. Thank you for all that you do! Do you have a website with more info? Are you offering any type of local teacher demonstrations or training or some type of meeting? I am right here in the Grand Rapids area also and have used Tech Smith tools since Camtasia was first introduced. Again, thank you for focusing on what works best for students!